I have tried the export feature, but I have the last 3 pages of my form that are agreements so we need the document to print as it is shown in the form with the e-signatures. Please help. 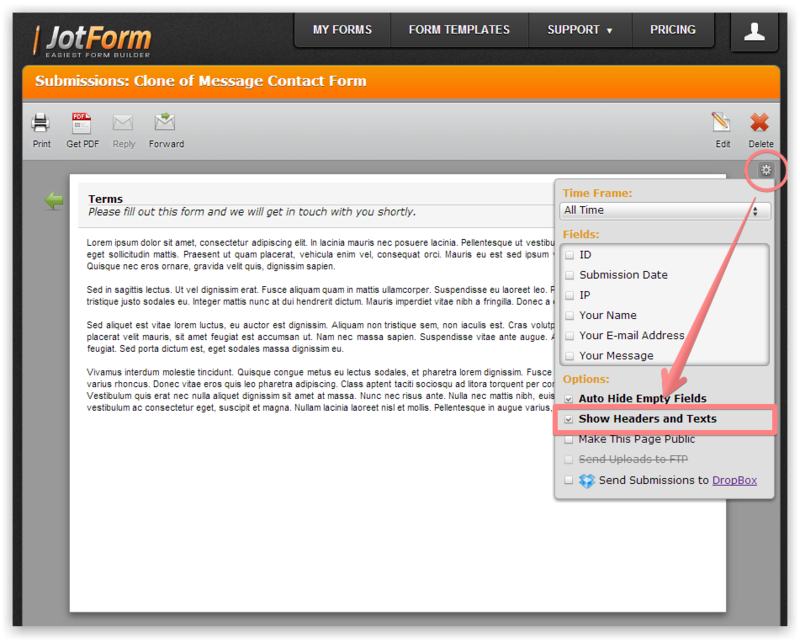 We have an option to include headers and text in your submissions from the submissions view. Enabling this option would display the headers and text on your submissions. Please refer to the guide below that helps you in having the agreement text on the exported PDF.